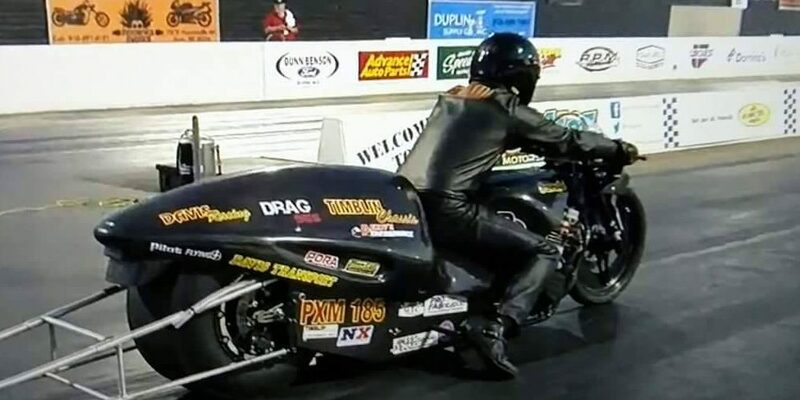 On April Fools day, 2017, Funny Bike and Pro Mod / Pro Extreme motorcycle drag racing veteran Travis Davis of Douglas, Ga. made a run he will never forget. It certainly wasn’t a joke. 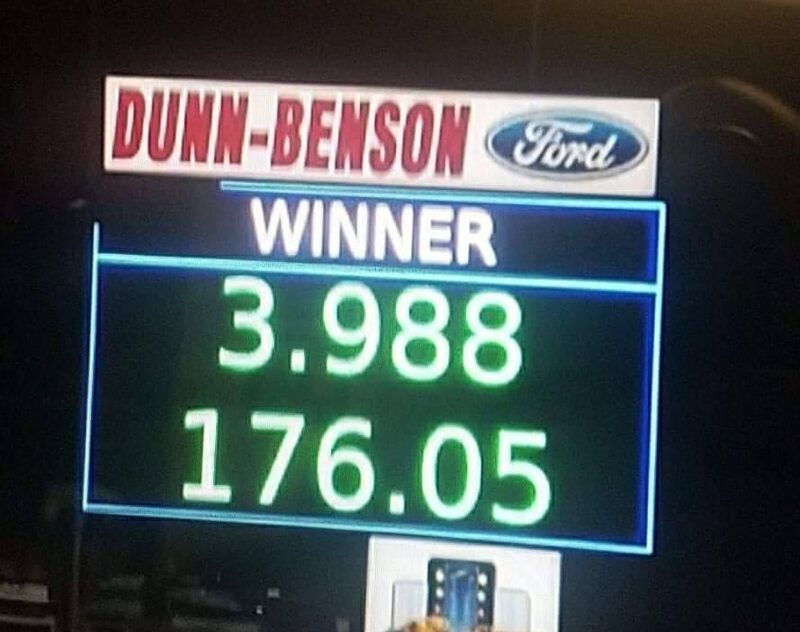 Davis became the sixth racer to enter the elusive three-second zone with a run of 3.988 at 176 mph at the PDRA East Coast Nationals from Galot Motorsports Park, in Benson, N.C., Mar. 30 – Apr. 1. 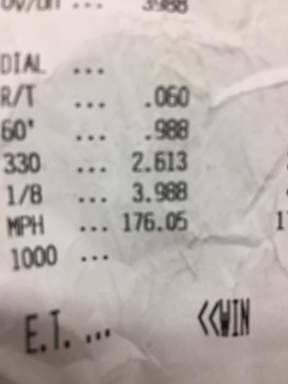 The run also earned Davis his third PDRA event victory and first since 2014. Davis joins Eric McKinney, Ashley Owens, Bill Vose, Mohammad Bourashid, and Meshal Al-saber in the three-second club. 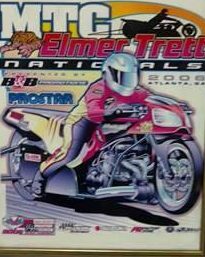 For chassis builder and longtime friend and sponsor of Davis, Walt Timblin, it brings his total of three-second Pro Mod bikes up to four. The scoreboard following Travis Davis’ three-second run. Timblin says it’s an honor. Timblin goes back so far with the Davis family he says he used to race against Travis’ father John in the 80s. Travis Davis found much success in Funny Bike. Davis still holds the ET record for Funny Bike at 6.34 in the quarter-mile. It’s a number Timblin expects Davis to lower. “We have addressed some issues with the 12-year-old bike and expect to see some 6.20s at Mancup next weekend,” Timblin said. Davis thanked Timblin Chassis, Billy Vose, Paul Gast, Perry Performance, Drag 965, Mickey Thompson and his wife and son. The next race on the 2017 PDRA tour is the PDRA Spring Nationals, May 18-20, at Darlington Dragway in Darlington, SC.